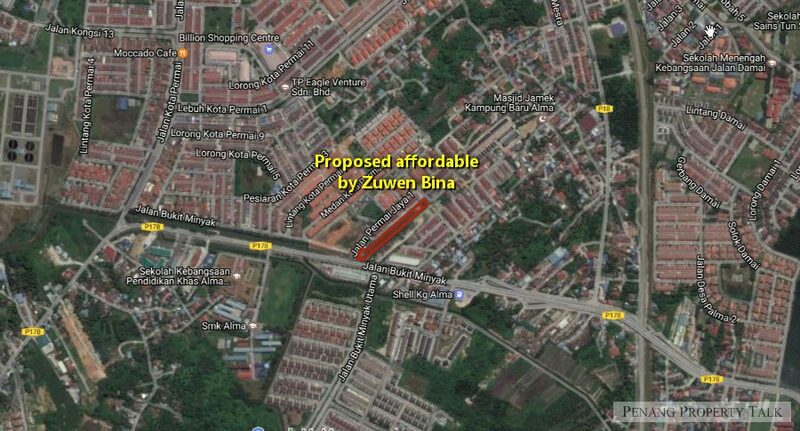 Yet another affordable housing proposed at Bukit Mertajam by Zuwen Bina. 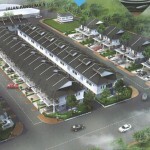 The newly proposed development is strategically located along Jalan Bukit Minyak, within the vicinity of Kota Permai. 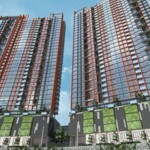 This project comprises a 26-storey condominium with 320 residential units and four units of 2-storey shop offices. The proposal is still pending for approval, more details to be available upon official launch. There should be a limit for the planning approval of affordable housing in terms of density and building height. The extra density granted means extra apartment units gained by the developer without incurred land cost. The extra profit should be contributed partially to the State for enhancing the infrastructure. The local council has not been a good job in managing the development along this stretch of road. [Jalan Bt Minyak] Firstly, it’s been 2 terms and there’s still no sign of the road widening project that the state gov had promised. It was reported that the acquisition had just been completed but until i see the first roadwork sign up, i will not believe the reports. Now, there is a spectrum of other issues here – metal recycling centers and lorry depos abound on this road – already congested, zoned for residential and yet these cause a road menace, and a pollution factor to the enviroment. 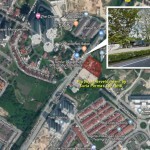 The immediate area where this development stands is also a lowlying area and with such a high dense project in a tiny strip of land, there is concern to adjoining lots from a structural and water flow standpoint. And as the above comment rightly addresses – the local goverment has done a lousy job in ensuring a wholistic-continuity to the infracture each time a developer develops a plot of land. 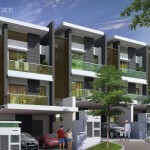 Last time went to Zuwen Bina showroom ask about spectrum residence, then also ask about this affordable house, somehow the sales agent don’t know about this.